Looking for something different to do for your teen’s next birthday, your next work function, or your extended family’s visit? 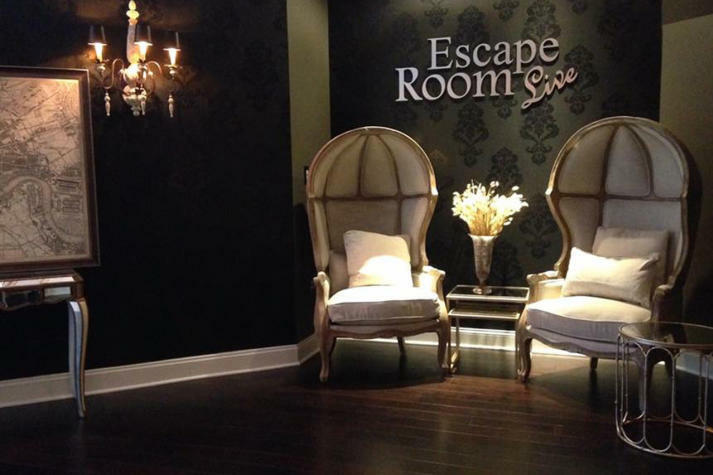 Escape Room Live Alexandria is the place for you. It is a real-life “Live Sherlock Experience” with a simple concept: you are trapped in the room and have only 45 minutes to escape before you are caught. Visitors need to use their problem-solving skills, along with their wits, to uncover clues. From there you will solve a series of puzzles and crack the codes in the hopes of finding the key to escape the room. There are four themed rooms: Sherlock’s Den, Professor Moriarty’s Office, Edgar Allan Poe, and the Wizard’s Apothecary, plus tons of space for large events and catering. Located at 814 King Street, it is a great, local activity! Give it a try and let us know if you were able to escape the room! Next postArt on the Avenue is here!